We currently do not have puppies available at this time. 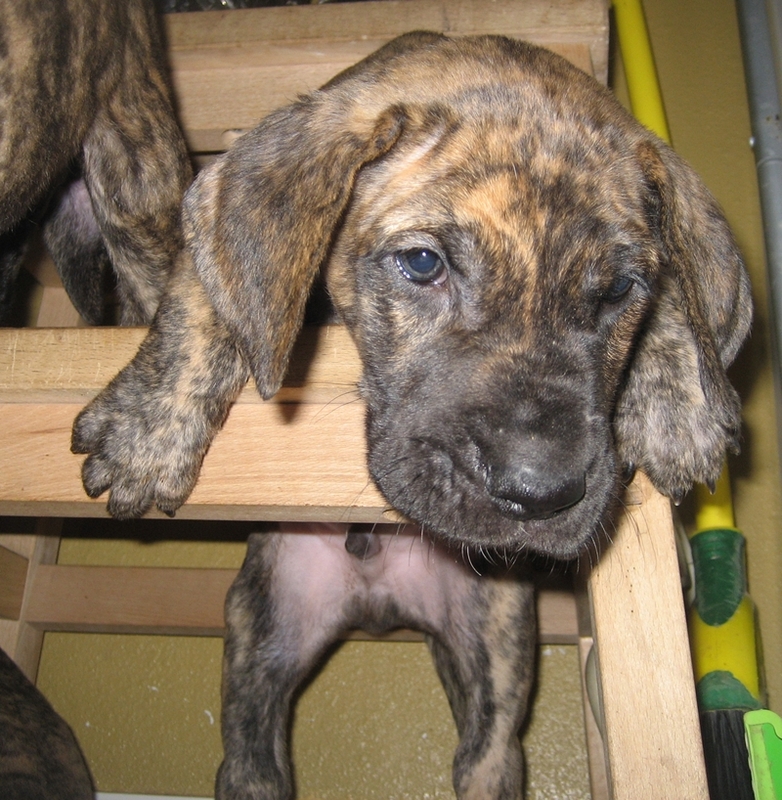 All of the puppies from the Dalton x Marlo litter have been placed in wonderful homes! 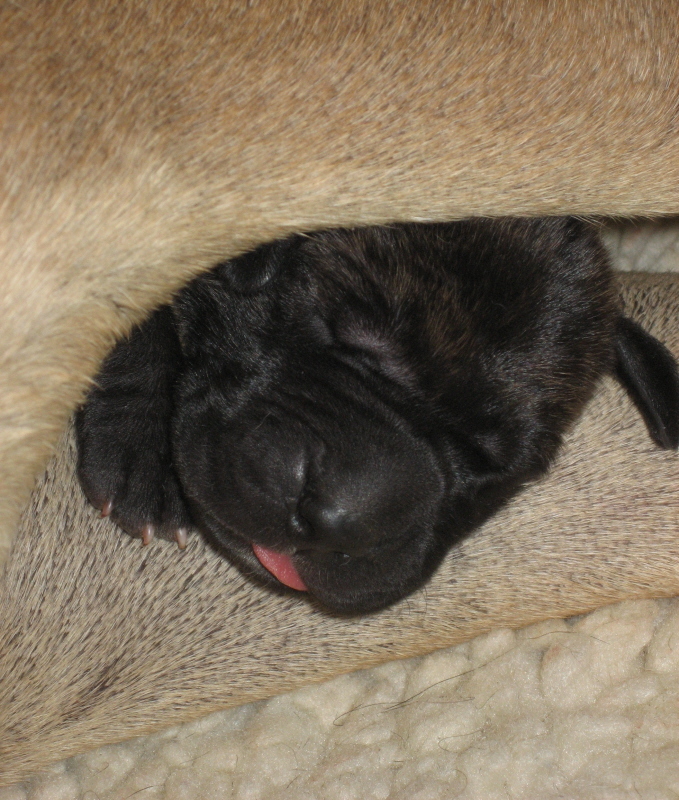 Our next litter is planned for 2013! 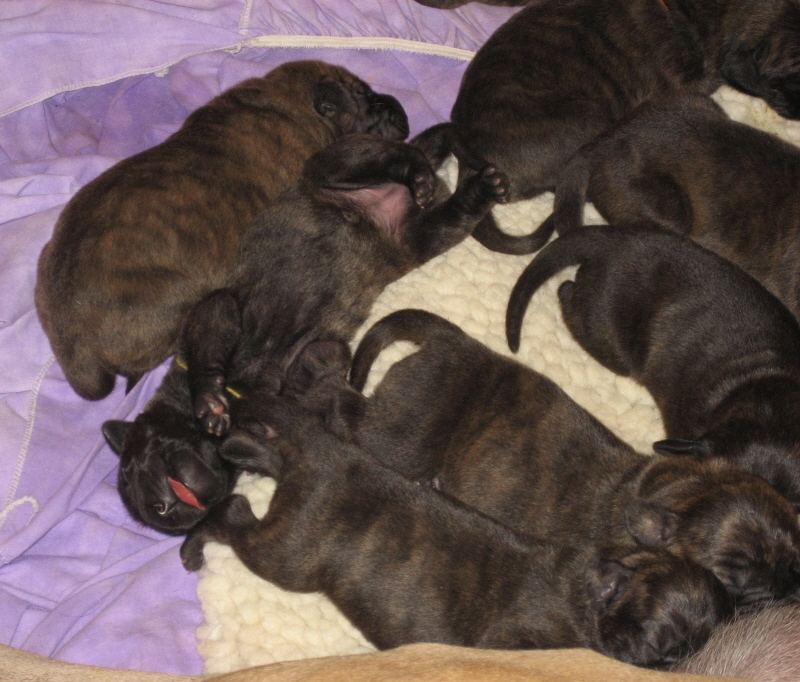 Please check back for information on our 2013 litter! Marlo pictured at four years of age. 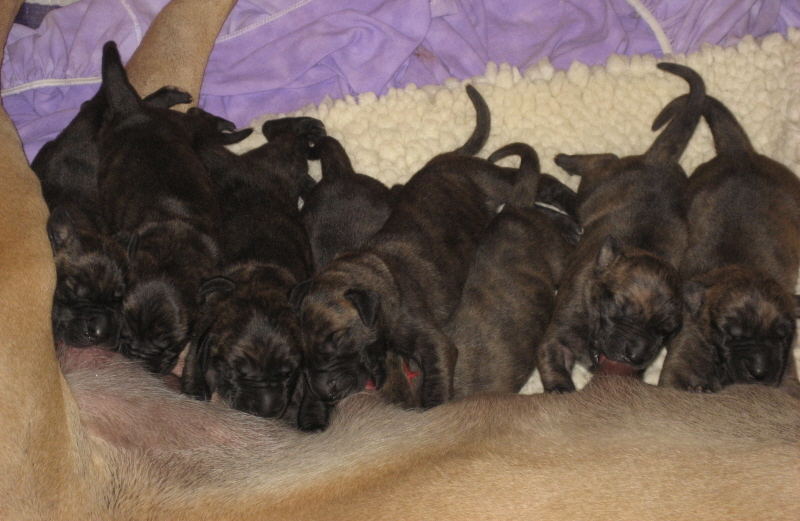 Marlo had nine beautiful brindle puppies on June 2, 2011! Seven males and two females! Pictures to follow shortly. Please check the website often for updated pictures! 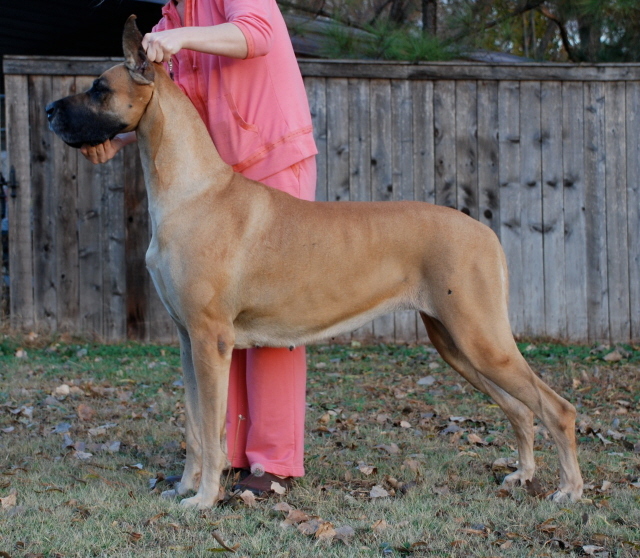 This litter is bred by Barbie Barrett (ZONA Danes), Lisa Hernandez (Syvile Danes), and Kim Felix & Zee daSilva (SisCo Danes). We are all very excited about this futurity nominated litter. Both Sire and Dam have been fully health tested. For more information on Dalton, please visit his page on this site. For more information on Marlo, please visit her page at www.siscodanes.com. 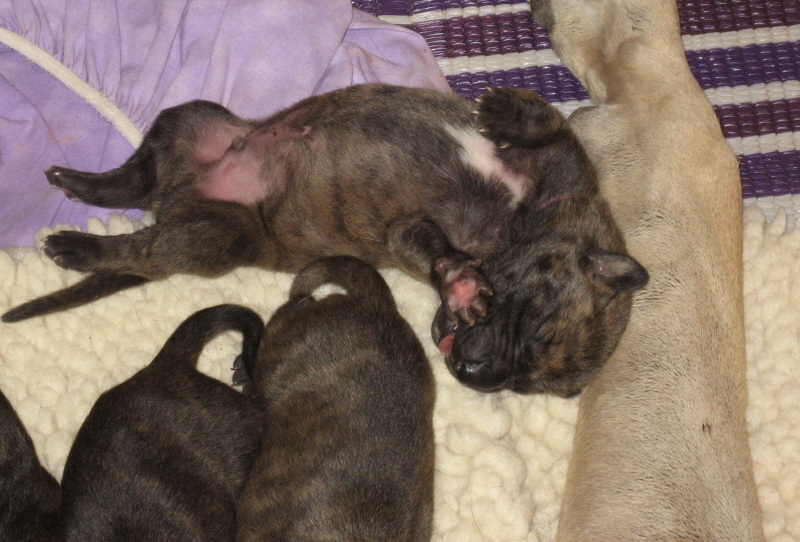 Please email me and request a puppy questionnaire if you are interested in a puppy from this litter. See pictures below of their first meal of raw, whole ground rabbit. All puppies are sold with contracts, no exceptions. a. Show puppies are co-owned until specific agreements are met (individual basis). 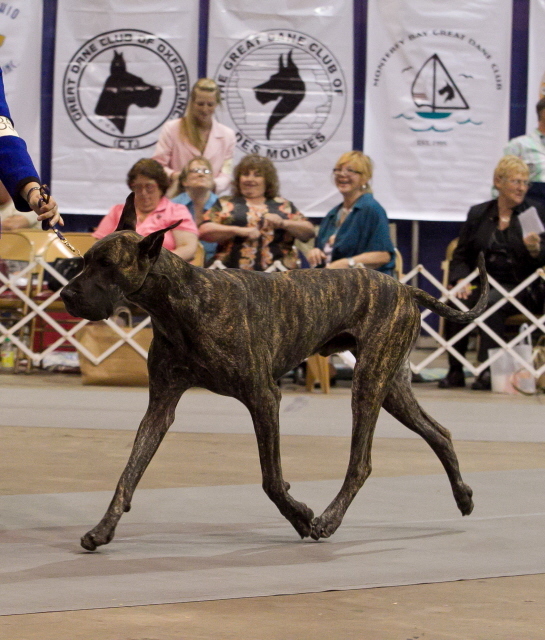 and will have Limited AKC Registration. c. Puppies must be an integral part of the family and live in the house. d. A fenced yard is required (electric fencing is not considered a fence). and updates for the life of the puppy. 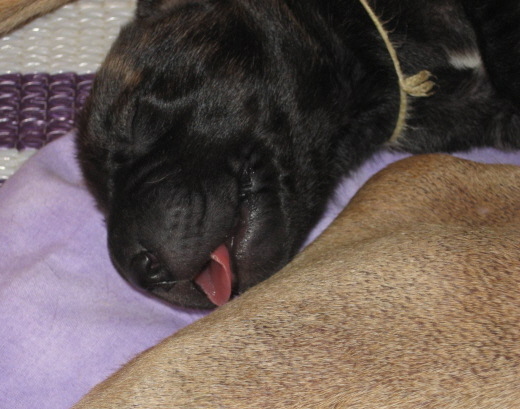 Our puppies are raised under foot from birth with special care and attention. Therefore, placing them in an appropriate, loving home is our priority. please email me for our puppy questionnaire.